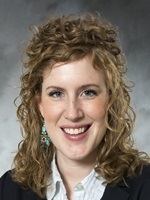 A Northwestern College graduate, Dr. Koerselman earned a master’s degree in history and political science from Iowa State University and a doctorate in United States history with an emphasis on gender and religion from Michigan State University. Before joining Northwestern's faculty, she was an assistant professor of history at Oklahoma Baptist University. (2 credits)(American history) This course is designed to introduce students to the theory, methods, and practice of history outside the classroom. Students will explore the ways historians research, preserve, and present historical topics to public audiences through museums, archives, interpreters, documentaries, and through electronic media. Prerequisite: HIS150 or permission of instructor.